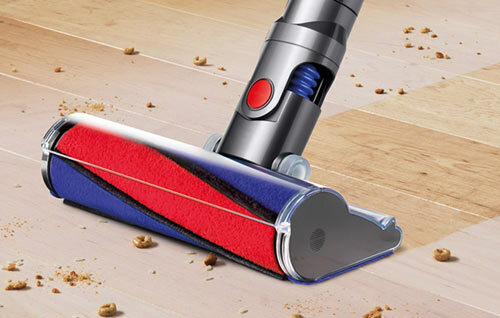 Dyson’s best rated and one of the most powerful cordless stick vacuums. The fifth generation Dyson V8 Absolute cordless stick vacuum has more suction power than any other lightweight cordless vacuum cleaner available. The V8 Absolute model has higher suction, longer battery life, a more powerful motorized floor tool, and a new dust & dirt ejector system. This new model has the power of a corded upright yet weighs less than 6 pounds. It is ideal for quick cleaning on all floor types, upholstery, stairs and inside your car. 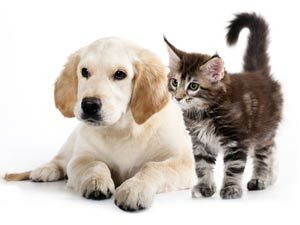 Since it is an Absolute version it can handle pet hair with extra included tools. Whole Machine HEPA Filtration. 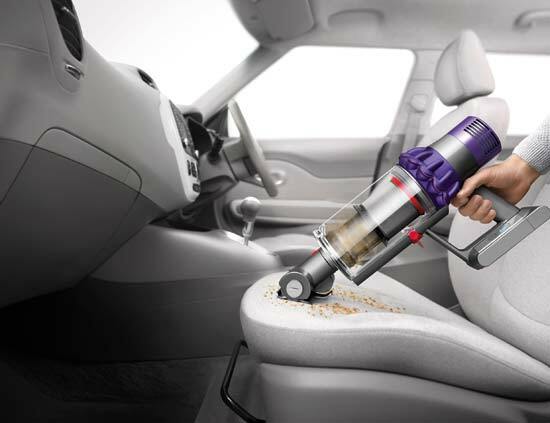 The Dyson Absolute cordless vacuums are Dyson’s only cordless vacuums to come with two floor tools. 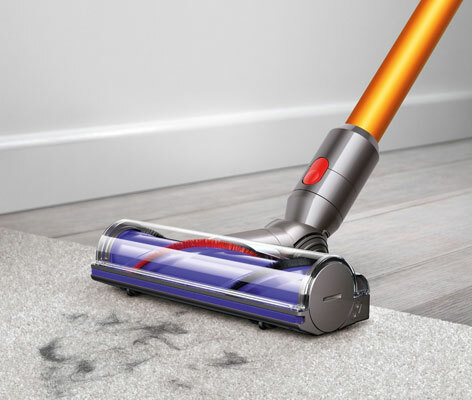 The new Motorized Floor Tool is powered by a direct drive motor, and has two types of brushes for different surfaces and has 150% more power than the Dyson V6 cord-free vacuum. Ultra-fine anti-static carbon fiber brushes can remove fine dust from hard floors, while rotating nylon bristles remove ground-in dirt from carpets, and is easily disassembled for cleaning. The new Fluffy Hard Floor Tool is a new addition, and can handle large and small particles from hard floors at the same time with its soft rollers. An example would be cheerios and flour. It is Dyson’s best Hard Floor Tool ever. 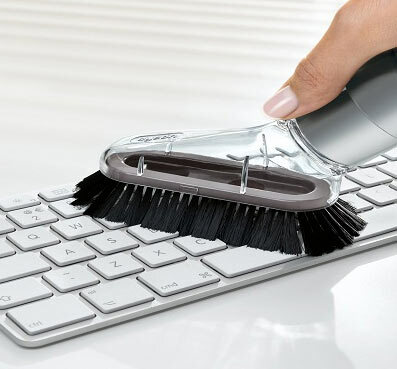 Dyson V8 Absolute Cordless: The V8 Absolute comes with the Mini Dusting Brush, which can clean your computer keyboard, car interiors, and furniture, as it has very soft bristles. 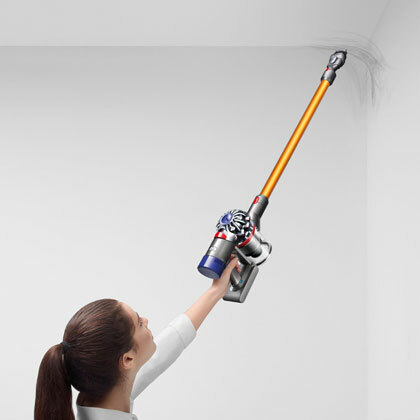 The Dyson V8 has a lightweight detachable long reach wand which can be used for cleaning high places, as well as hard to reach areas. 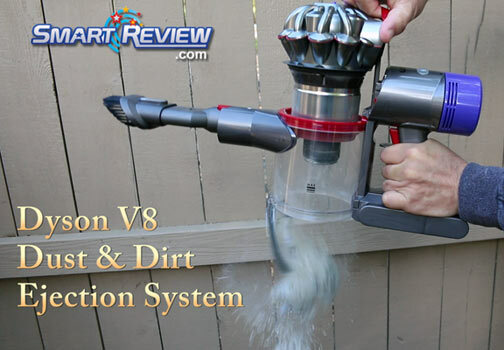 It is easily removable, converting your V8 Absolute into a handheld vacuum. The Motorized Floor Tool can be attached to the handheld unit for vacuuming either carpets or hard floors (including hardwood floors). 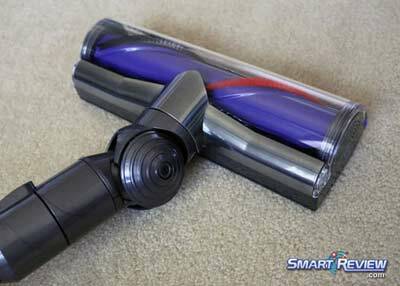 This cordless vacuum has a super power mode for those tough areas which require maximum suction. Normal mode runtime is 40 minutes per change (7 minutes on MAX). The lithium ion (nickel manganese cobalt) batteries charge faster than most other cordless vacuums (charge time: 5.5 hours). As with other Dyson vacuums, this cordless model also uses the latest Two Tier Radial™ Cyclone Technology so that there is no loss of suction. The vacuum does not rely on the filter to trap dirt, and has a lifetime washable filter. As with all Dyson vacuums, this unit is bagless, so no bags to buy. 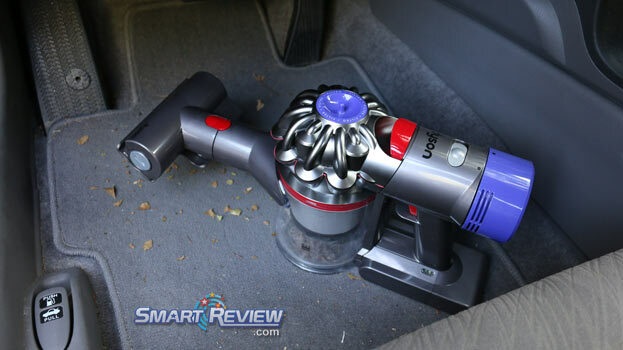 Dyson V8 Upgrade Features Vs. the V6 Model: The new Dyson V8 has improvements and differences over the previous V6 cord free model. The improved Motorized Floor Tool has 150% more power with a direct drive motor for better carpet cleaning. This model comes with the new mini soft dusting brush. The New V8 motor has increased maximum suction power has increased 15%, the dust bin is now 27% larger. Battery life has increased dramatically from 20 minutes to 40 minutes in the suction mode. The battery itself now has three LED lights to indicate current charge condition. With the motorized floor tool runtime has increased from 17 to 25 minutes. And MAX mode has increased from 6 to 7 minutes with even more suction power. Another great new feature exclusive to the V8 is the way it empties the dust bin. When you empty the bin it scrapes clean the dust screen at the same time all in one step. This model is also 50% quieter (which we can confirm in our testing) than the previous V6 models. What’s in the Box? The Dyson V8 Absolute, Docking Station, Charger, Crevice Tool, Mini Soft Dusting Brush, Motorized Floor Tool, Fluffy Soft Roller Floor Tool, Mini Motorized Tool, Combination Accessory Tool. Battery Cleaning Runtime: 40 minutes suction. 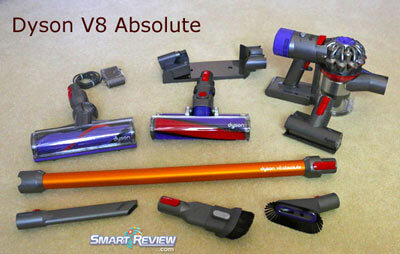 Smart-Review Commentary: The fifth generation Dyson cordless stick vacuum, the V8 Absolute. This model has many improvements over the V6 models, such as longer battery life, new V8 motor, new bin dirt & dust ejecting system, quieter operation, more powerful floor tool, and larger dust bin. The new Dirt & Dust Ejection System empties the bin, and scrapes the dust off the bin and screen, all in one action, one of our favorite new features. The V8 Absolute has the new Soft Roller Hard Floor Tool, which is fantastic at cleaning hard floors, for both large and small particles. Great for Hardwood Floors. The V8 Absolute has the power of an upright in a vacuum weighing less than 6 lbs., but without cords. You get 40 minutes (25 with motorized tool) of cleaning time, or 7 minutes on Max. It is actually two vacuums in one. A cordless stick vacuum, and a cordless handheld. The V8 uses a special lithium ion (nickel manganese cobalt) battery, which is the best type for constant power throughout its charge. The V8 not only has a larger dustbin, but now has a dust ejecting system only available on the V8 Cordless series. This will scrape dust and pet hair off the screen to prevent clogging. It comes with a wall mounted docking station, for charging, and convenience. The Mini Motorized Hand Tool is great for stairs, upholstery, and car interiors, and for pet hair removal. The V8 cordless vacuum is very versatile for getting different floor types, stairs, upholstery, drapes, and car interiors. Like a full size Dyson, this smaller version has an advanced Two Tier Radial™ Cyclone Technology technology to prevent clogging, and the dust bin empties from the bottom. 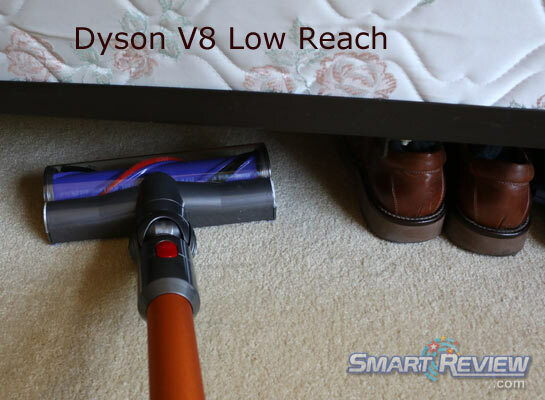 It has a low reach, so you can easily vacuum under a bed with the Motorized Floor Tool. This is great for quick cleanups as well. This cordless model has received excellent consumer reviews. The Absolute model has enough power to pick up dirt, dust, and especially pet hair and has Whole machine HEPA filtration for cleaner air output (great for those with pets or allergies). The build quality is excellent and far exceeds competitor vacuums. We tested this model, and found that it did pickup better on our test carpet than previous models, and is substantially quieter than previous models (See our Video on the left). The V8 Absolute comes with Many High End Accessories. This is the best Dyson product we have ever tested. The build quality and functionality are fantastic. The Dyson V8 Absolute has won our BEST OF 2018 Award in the cordless vacuum category. The Dyson V8 is one of our “best cordless vacuums on the market”. 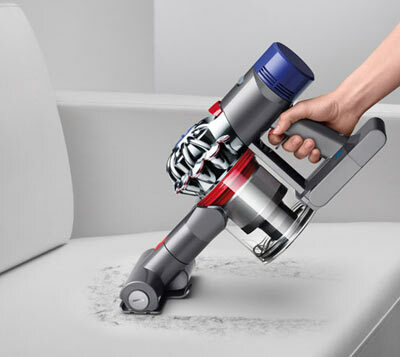 Also see the latest: Dyson V10 Absolute Cordless Stick Vacuum with higher suction, better floor tools, and longer battery life. 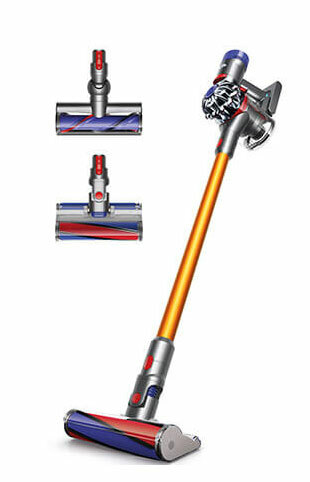 Description: The Dyson V8 is a highly rated cordless vacuum. It has many improvements from previous models including: greater suction, longer battery life, larger bin size, dust ejection system, and improved motorized floor tool. This absolute model comes with many cleaning tools. We highly recommend this cordless vacuum. This model has won our BEST of 2018 award.